Attu Games has announced that their action RPG Feudal Alloy is coming to Nintendo Switch in Q3 2018. 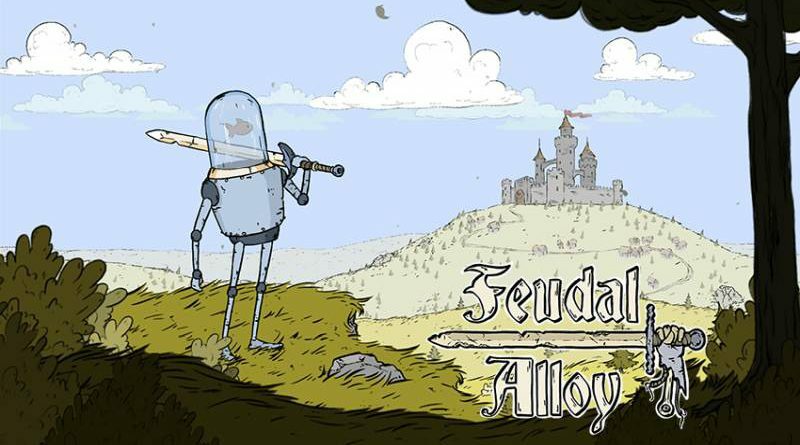 Feudal Alloy is a metroidvania-style action RPG with fishbowl-powered medieval robots. Explore an unusual medieval world with a fishbowl-powered robot Attu, improve your combat techniques and skills by smashing many kinds of mechanic creatures and talk to other inhabitants using unique animated branching dialogues in a hand-drawn world made by a two-member team. Attu is an ordinary farmer robot who lives in a small cottage in the sunflower fields. He has been living a simple but pleasant life until a bunch of outlaws attacked the village, stole their oil supplies and burnt his house. Fortunately he managed to grab his old sword and fled into the woods. Get lost and discover a huge interconnected world, filled with wide range of enemies, bosses, skills, equipments and side quests. Choose which paths you take and which enemies you face. Try to defeat the evil and find your way back home. Dynamic action-combat system with swords, grenades, dodges and other special attack moves. A unique dialogue system – animated bubbles. A huge, interconnected world to explore, filled with wide range of enemies, bosses and side quests. Loot, a lot of loot!